Yealmpton is a small village approximately 10 miles east of Plymouth. The River Yealm flows through the village. Yealmpton is well known as the home of the nursery rhyme Old Mother Hubbard. The rhyme was accredited to Sarah Catherine Martin 1804 who lived in the village, but there is a debate that it was based on an earlier work that was concerned with King Henry VIII's first divorce. 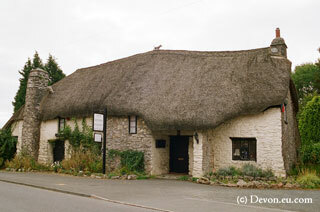 The house itself is a beautiful 400 year thatched and cob building that has recently been used as a restaurant.